HIFU body contouring can be used to improve the suppleness and appearance of the skin across the entire body. From our cutting-edge clinic at the heart of London, we offer a comprehensive range of HIFU body contouring treatments to suit all requirements and budgets. Recognised by clinicians across London as the most effective alternative to traditional cosmetic surgery, HIFU body contouring works by stimulating the body to produce more collagen and elastin. The result of which is tighter, firmer and more youthful-looking skin, without the need for any invasive surgery. HIFU body contouring treatments are suitable for most areas of the body, though are most commonly concentrated around the abdomen, the thighs, the hips, the neck, the arms and the buttocks. Typically requiring just a single treatment per year, HIFU body contouring can also be uniquely cost effective. Call the HSA Dermal Clinic team today, or visit us at our state-of-the-art London clinic for more information. Looking for a non-surgical alternative to traditional fat removal? Eliminate fat with the HIFU treatment, performed by the experts at HSA Dermal Clinic. Our unrivalled experience and expertise in all aspects of HIFU treatment enable us to deliver safe, effective and long-lasting results at competitive prices. 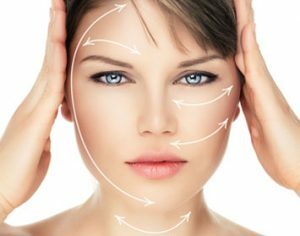 HIFU treatment for the purpose of fat removal is becoming more popular on a global basis, having been recognised as a uniquely effective and accessible alternative to traditional cosmetic surgery.